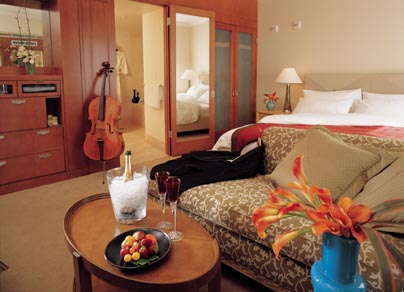 Beauty and highly attentive service remain the hallmarks of this exquisite jewel-like, top-tier hotel. 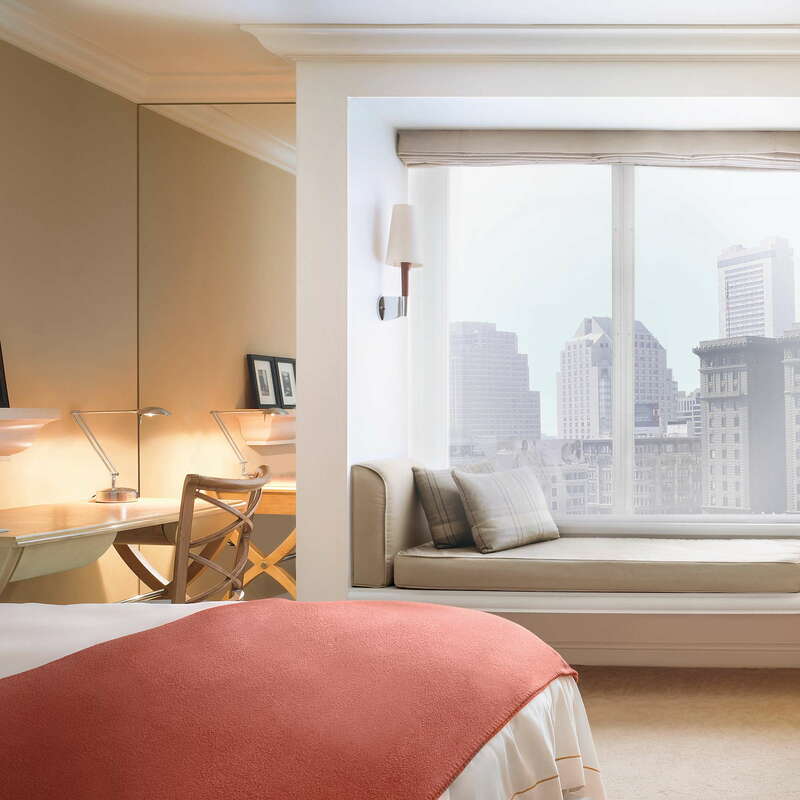 Perched on the edge of Union Square, just steps to the Apple store and Tiffany's, expect to spot Asian and Middle East royals lugging bags up to the classic rooms, or globetrotters dining at their outstanding house restaurant. Take advantage of the free overnight shoeshine service and the complimentary car service to the Financial District. Small but updated rooms are elegantly decorated in a contemporary California style, with sandy earth tones and handsome pearwood paneling and cabinetry. Pillowed reading nooks overlook the ice rink at Union Square. 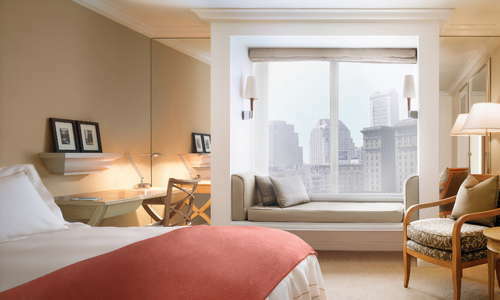 YOU SHOULD KNOW Twice daily housekeeper and nightly turndown service add to the pampering. Limestone baths have deep soaking tubs; double-pane windows keep city noises at bay. Luxuriate in the hotel robes, which might just be the most comfortable in town. Fresh-cut orchids bring natural beauty inside, where you'll feel sheltered from the teeming crowds of Union Square, just across the street. An attentive staff provides assistance with reservations, directions and even a nice Continental breakfast spread in the mornings. An open-air fitness center offers cardio equipment and free weights. The award-winning Campton Place Restaurant, whose South Indian chef serves Cal-Indian contemporary cuisine at dinner, is famed for its lavish breakfasts, decadent tasting menus, and luscious desserts. Don't miss the desserts, which are some of the best in town. The Bistro Bar lounge is a popular cocktail-hour hangout for the downtown crowd. The property offers expensive valet parking. 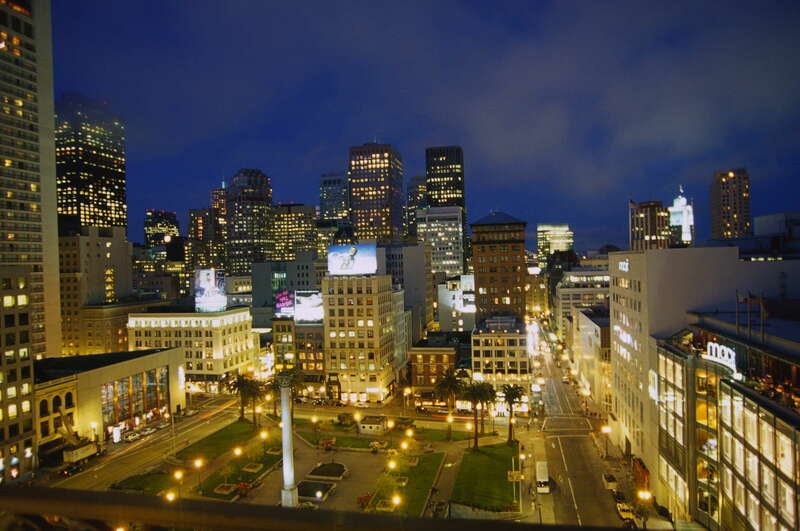 Car-less travelers will find the area easy to explore by foot, with the neighboring Financial District and SOMA districts easily accessible. The cable car, Muni buses and trains, and BART trains are all within a couple blocks. Reserve well in advance for one of the most desired tables in town, Corey Lee's exquisite tasting menu at Benu (14-minute walk). Also worth sampling is the tasting menu at Sons & Daughters (4-minute walk) where you might get to enjoy their truffled beef atop pureed vegetables and bay laurel. Speakeasys might be all the rage in San Francisco's cocktail scene, but that doesn't make Local Edition (7-minute walk) any less enjoyable, especially when jazz musicians are entertaining the martini-drinkers. On a night nice, feel like you are walking through Barcelona at Belden Place, where sangria and strung lights rekindle romance at B44 (7-minute walk). 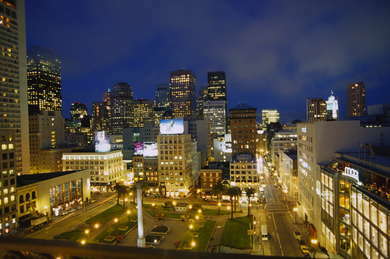 Class, style, and pampering on the edge of Union Square make this intimate hotel a favorite for discerning travelers.